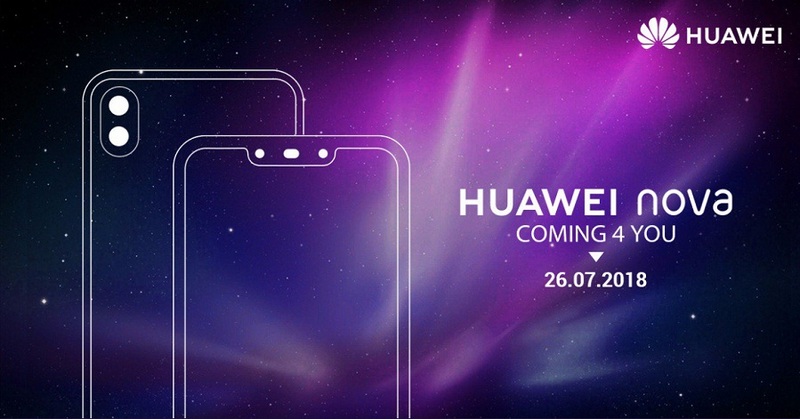 Last July 15, Huawei announced the launch date of the new Huawei Nova 3 and its specs with hashtag #Coming4You. The Huawei Nova 3 has a 6.3 inch screen display and 19:9 aspect ratio with a full HD+ LCD resolution. The Nova 3 is supported by HiSilicon Kirin 970 processor and Cortex-A73 quad-cluster at 2.4 GHz with four more Cortex-A53 cores at 1.8GHz. The phone runs with Android 8.1 Oreo and octa-core. The dual primary camera has 16 MP and 24 MP with LED flash while the secondary dual camera has 24 MP and 2 MP. The storage has 6GB RAM and 64 or 128 GB ROM with a microSD card slot up to 256 GB storage. The capacity of built-in battery has 3750 mAh with fast battery charging 18W. The phone has a rear-mounted fingerprint, accelerometer, gyro, proximity, and compass. The company will launch the upcoming phone on July 26. The available colors are Black, Blue, Purple, and Gold.